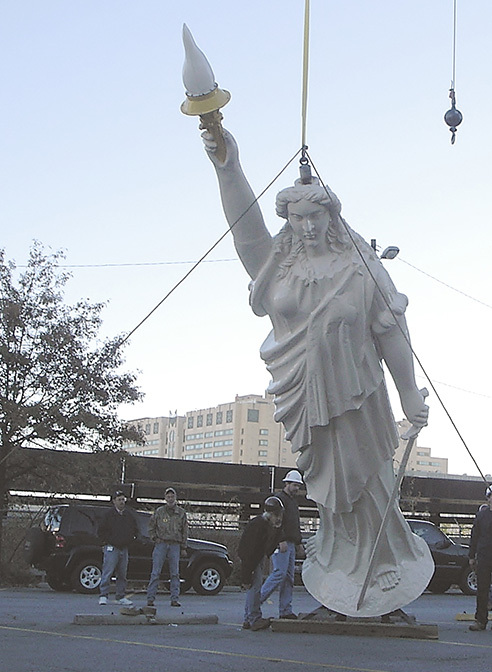 The historic Miss Freedom statue in Atlanta is a prized state possession, and was first commissioned in 1888. 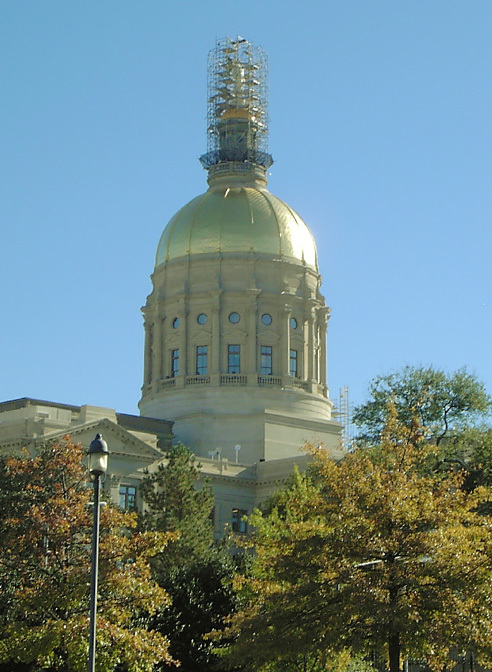 This statue currently sits atop the dome of the Georgia State Capitol building, overlooking the city. Previous names for this statue include her original name of “Goddess of Liberty”, “Liberty”, and now her title of “Miss Freedom”. 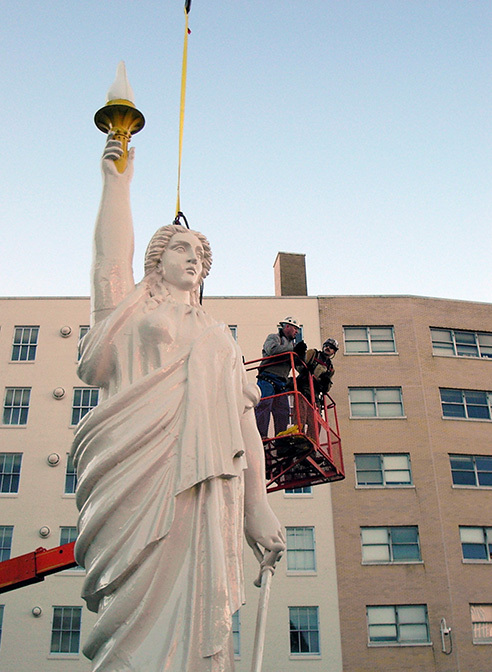 By 2004, state officials decided that Miss Freedom was due for restoration work. The metal statue required repairs from the inside out, including the replacement of missing and damaged parts and repair of internal supports. 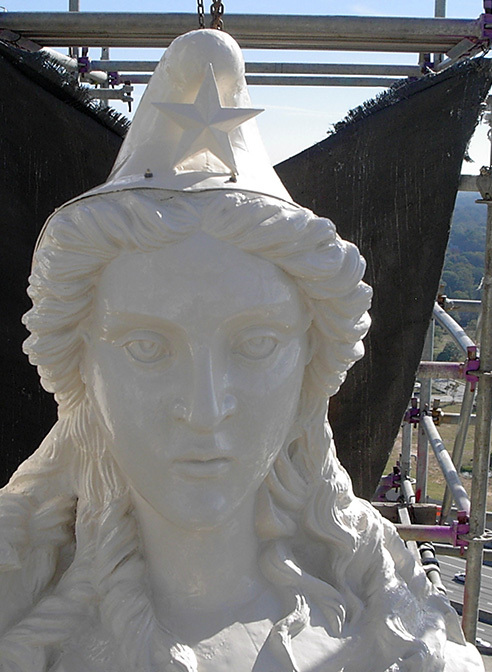 Heather & Little was proud to be the top choice for her statue restoration and repairs. In August of 2004, Heather and Little one of three chosen restoration contractors in North America that were prequalified to bid for this project, and proudly took on the task of restoring this beautiful sheet metal statue back to its original glory. 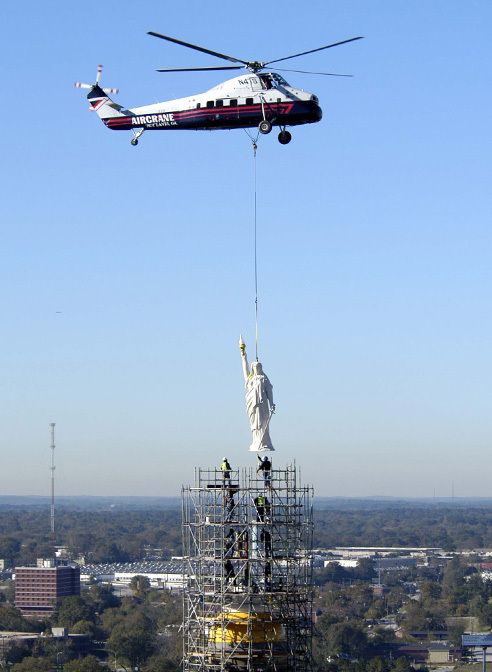 Removing her from her post was no easy feat, and simply removing her from the dome involved days of detailed planning and strategizing to air-lift her using a helicopter. Though Miss Freedom may not look large from above, she stands about 23 feet high and weighs nearly 1,250 pounds. Early on a Saturday morning the entire building was evacuated, surrounding streets were closed while our team members safely made the removal. 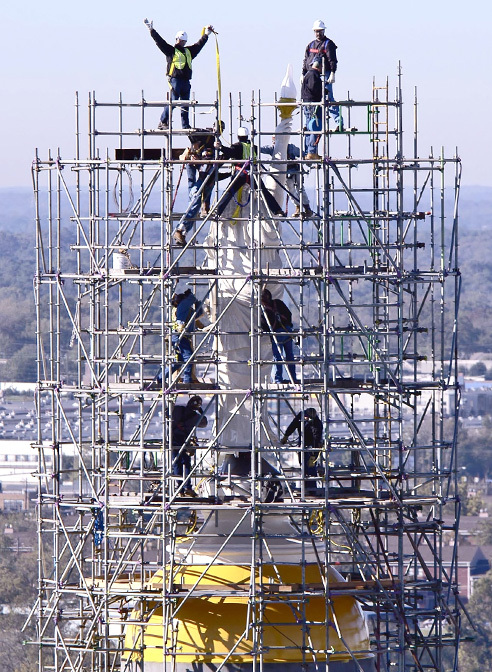 Worked with members of Lord Aeck Sargent Architects and Winter Construction in Atlanta every step of the restoration were monitored while rules and regulations were followed. Electrical wiring on the interior was also updated for the light within the torch. 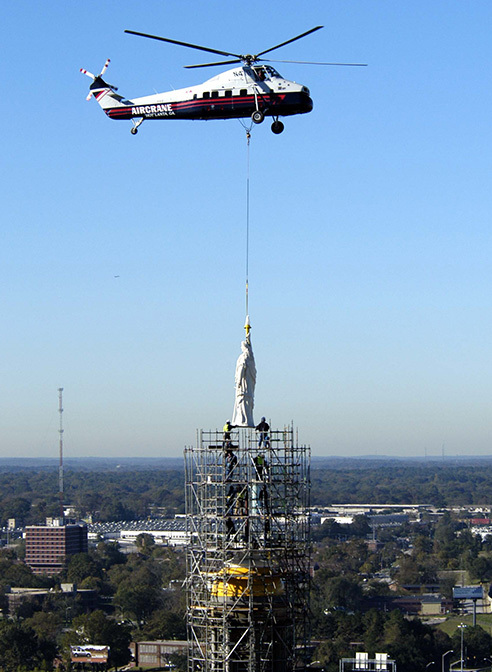 Once Miss Freedom was fully restored, she was on her way to Atlanta to be airlifted back to her home on the top of the Georgia State Capitol dome, looking as new as the day she was first placed. 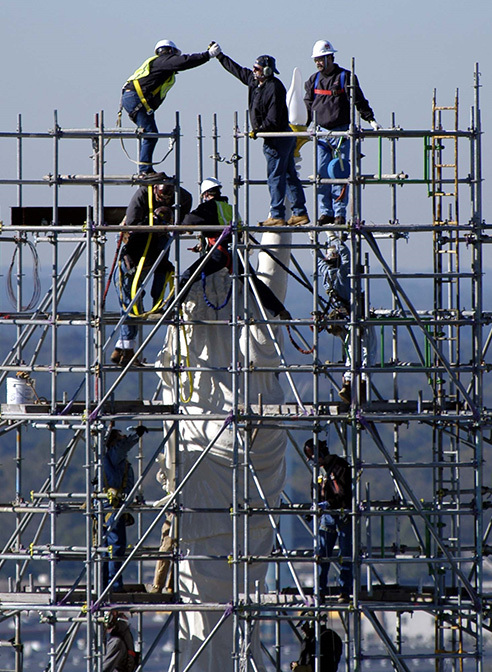 To learn more about this metal statue repair and statue restoration project, take a look at the images below.